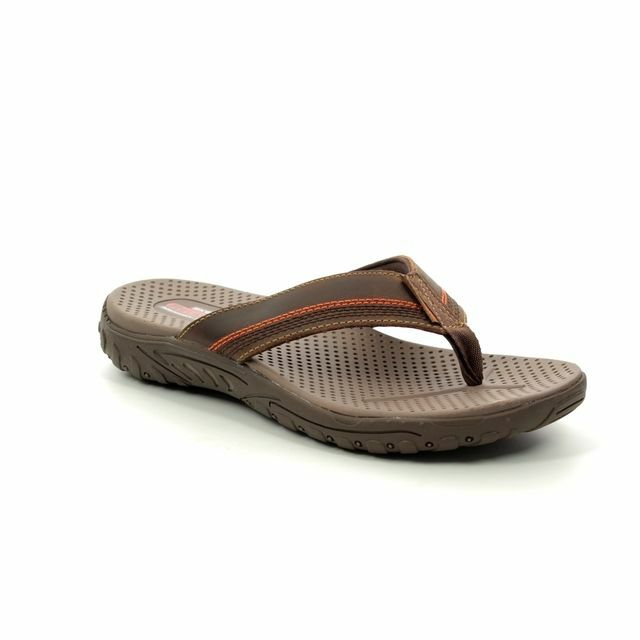 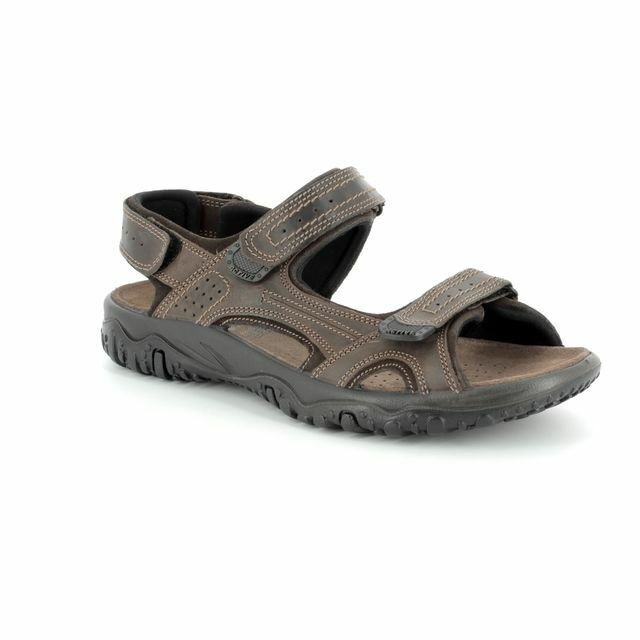 Skechers brings us 55352 SEAPORT a casual sporty men's sandal that will be supremely comfortable whatever your doing this summer. 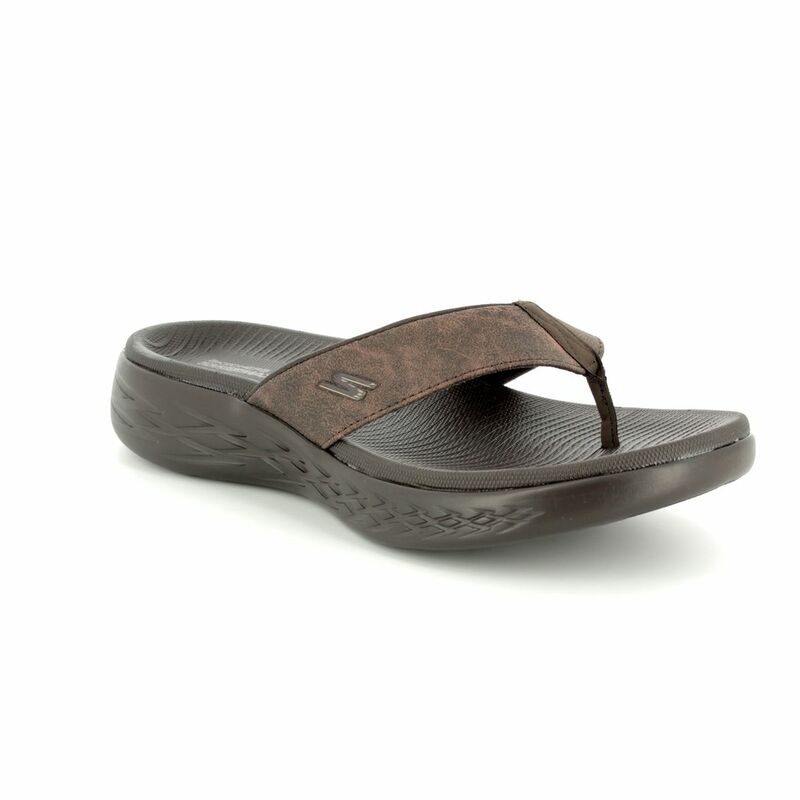 This flip-flop sandal is part of Skechers On the GO range and combines a number of features to create the soft 'SQUISH' feeling that is uniquely associated with this shoe collection. 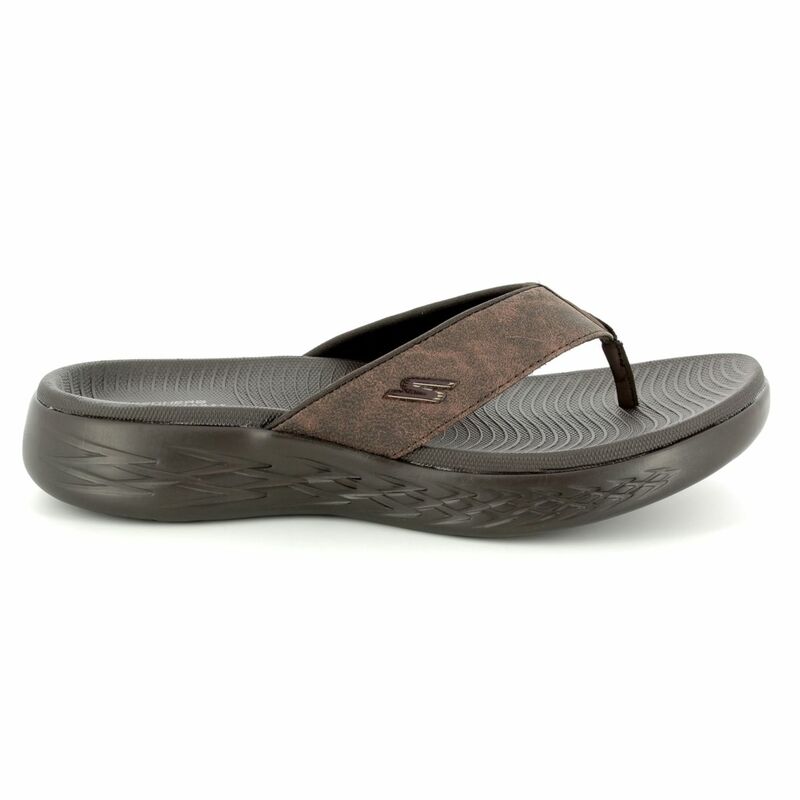 The sole is made from Skechers exclusive Resalyte material that is soft, cushioning and lightweight. There is Goga max technology, a 5GEN midsole which helps retain the shape of the shoe while providing shock absorption. 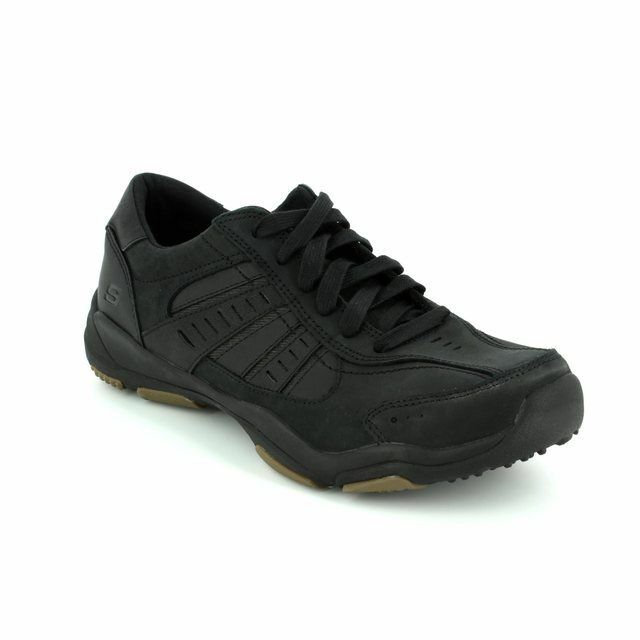 The sole utilises Skechers GOrun 600 design that provides support and a multi-directional traction outsole. 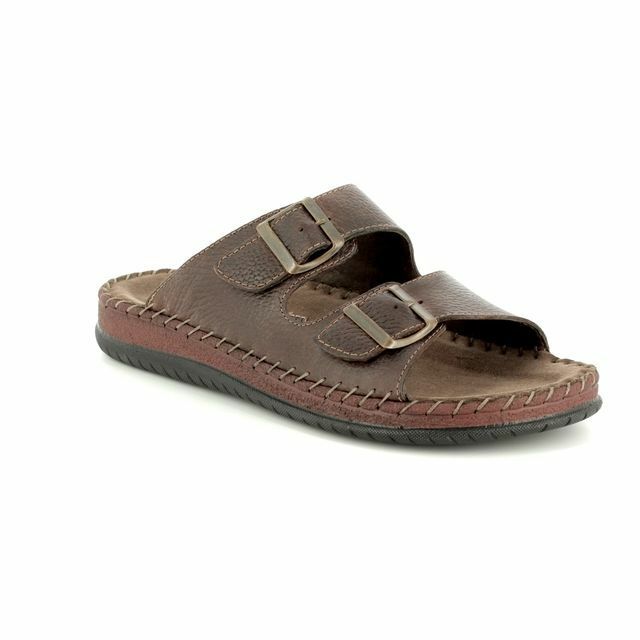 The upper is made from a smooth Perform-Tex fabric that has been textured to look like leather with a soft fabric toe-post for your comfort while wearing. 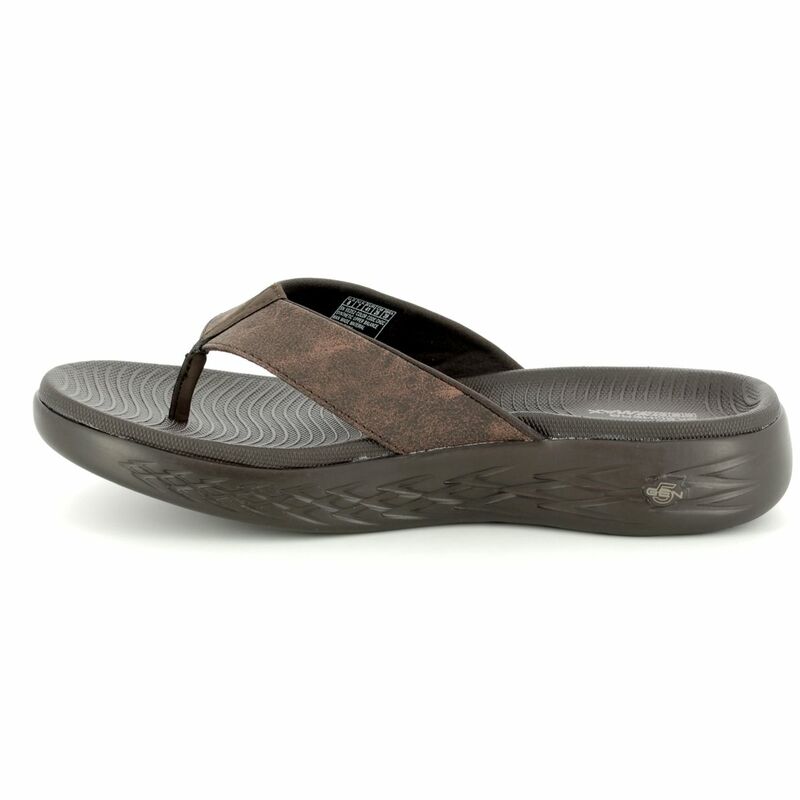 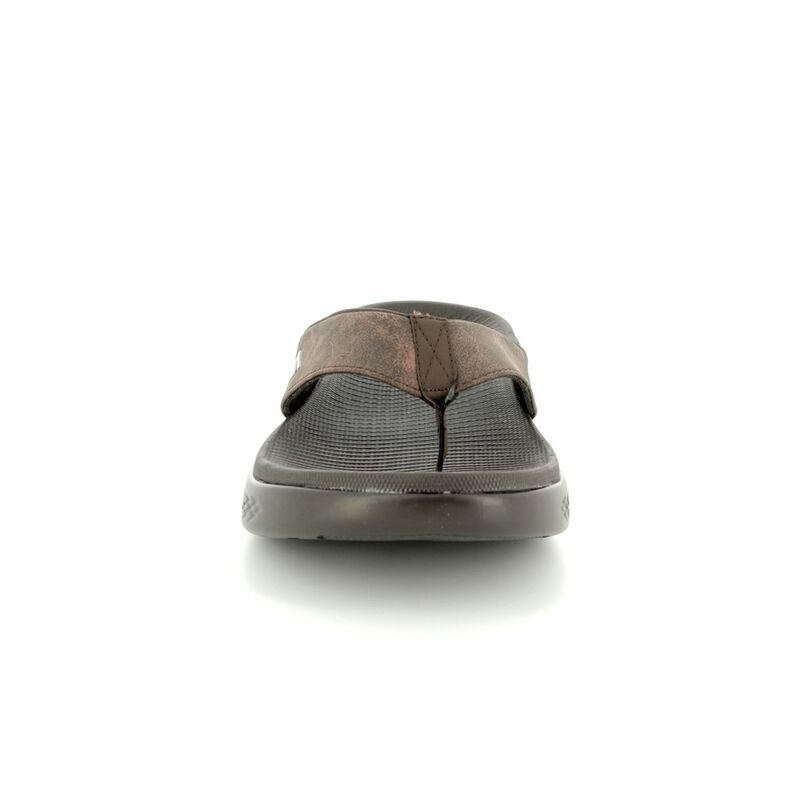 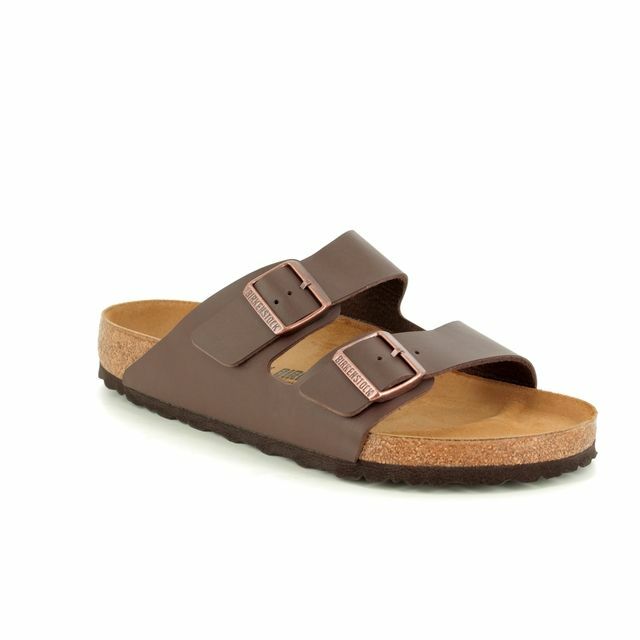 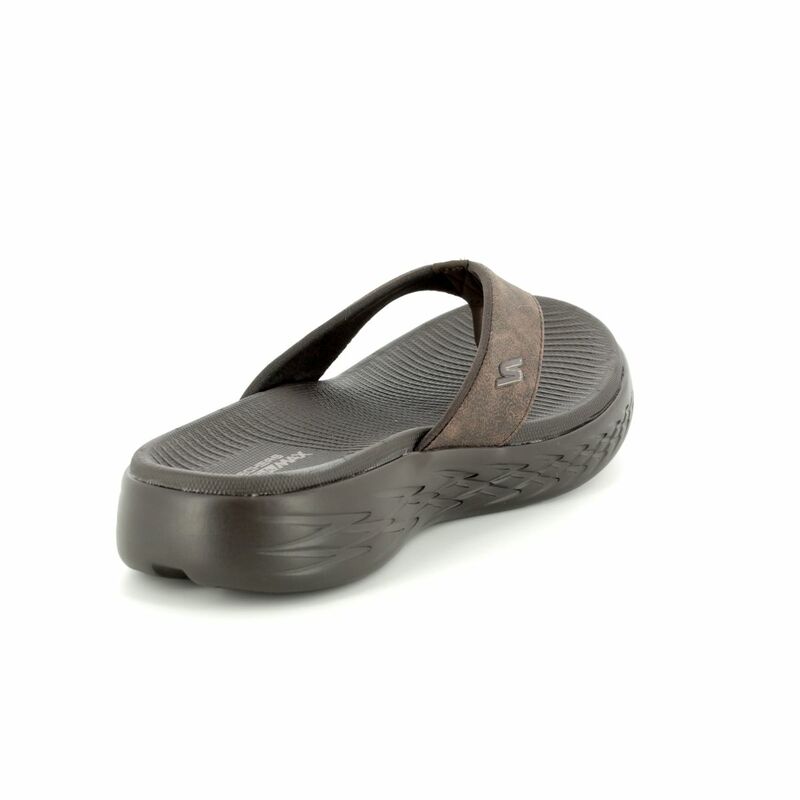 The strap has been lined with neoprene and the footbed is contoured for added comfort. 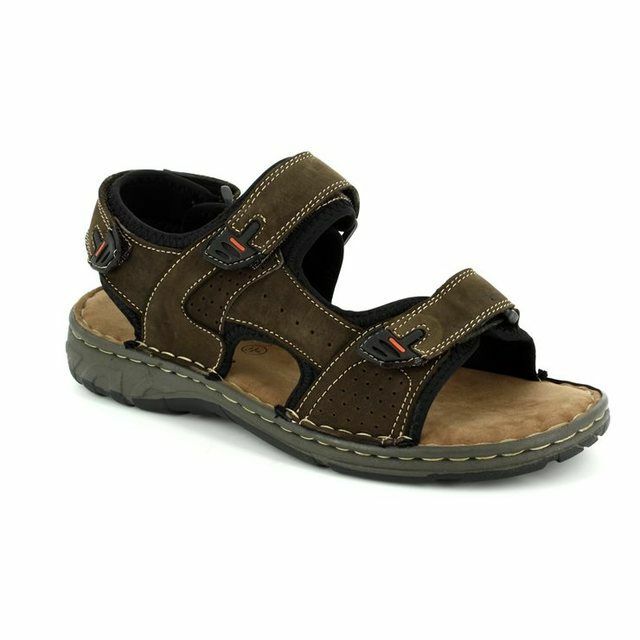 This sandal is extremely lightweight with a size 9 weighing less than 150 grams, get for taking on holiday with you if you're travelling with a limited luggage allowance. 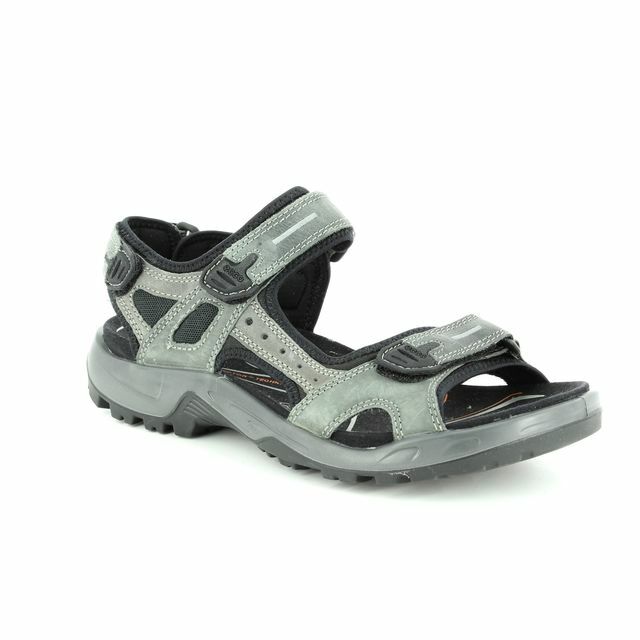 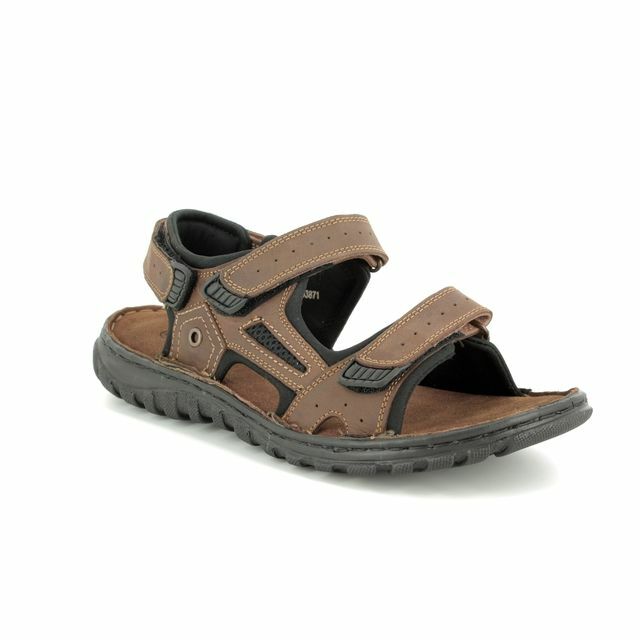 Buy your Skechers men's sandals from Begg Shoes, an official Skechers stockist.